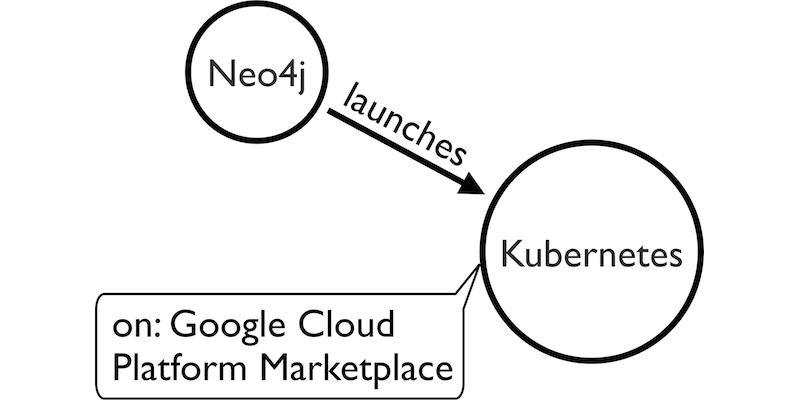 Neo4j is now available to the Google Cloud Platform Marketplace in a commercial Kubernetes application. Read on for the details. On behalf of the Neo4j team, I am happy to announce that today we are introducing the availability of the Neo4j Graph Platform within a commercial Kubernetes application to all users of the Google Cloud Platform Marketplace. This new offering provides customers with the ability to easily deploy Neo4j's native graph database capabilities for Kubernetes directly into their GKE-hosted Kubernetes cluster. The Neo4j Kubernetes application will be "Bring Your Own License" (BYOL). If you have a valid Neo4j Enterprise Edition license (including startup program licenses), the Neo4j application will be available to you. Commercial Kubernetes applications can be deployed on-premise or even on other public clouds through the Google Cloud Platform Marketplace. We've seen the Kubernetes user base growing substantially, and this application makes it easy for that community to launch Neo4j and take advantage of graph technology alongside any other workload they may use with Kubernetes. Kubernetes customers are already building some of these same applications, and using Neo4j on Kubernetes, a user combines the graph capabilities of Neo4j alongside an existing application, such as an application that is generating recommendations by looking at the behavior of similar buyers, or a 360-degree customer view that uses a knowledge graph to help spot trends and opportunities. As the ecosystem leader in graph databases, Neo4j has supported containerization technology, including Docker, for years. With this announcement, Kubernetes customers can now easily pair Neo4j with existing applications already running on their Kubernetes cluster or install other Kubernetes marketplace applications alongside Neo4j. Published at DZone with permission of David Allen , DZone MVB. See the original article here.